· AntiSpam filters out unwanted and phishing emails. · AntiBot blocks hackers’ attempts to take over your computer. · AntiPhishing protects you against identity theft attacks. · Rootkit Protection keeps you safe from hidden malware that conventional antivirus can’t find. · Real-Time Protection prevents infection from viruses, worms and Trojans. · FireWall adds an extra layer of defense against intrusions. · ProActive halts undiscovered threats by tracking their behavior. · AHeAD Technology inspects unfamiliar code for suspicious signs. · Web Protection stops you from landing on malicious websites. · AntiDrive-by blocks unwanted software downloads while you surf. · Mail Protection keeps infected emails at a safe distance from your inbox. · Quick Removal eliminates viruses in one click. · Generic Repair removes all traces of infection automatically. · Backup System lets you recover your data in case of an accident, infection or theft. · Rescue System jumpstarts your PC in an emergency. · Express Installation configures perfectly tuned security in a few clicks. 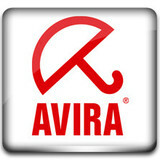 · Live Support provides interactive help from an Avira expert. · Game Mode suspends unnecessary alerts during games and movies.